If you shun the sheep experience of group tours but value the expertise of a guide, consider this cost-effective private half-day tour of the Giza Pyramids. 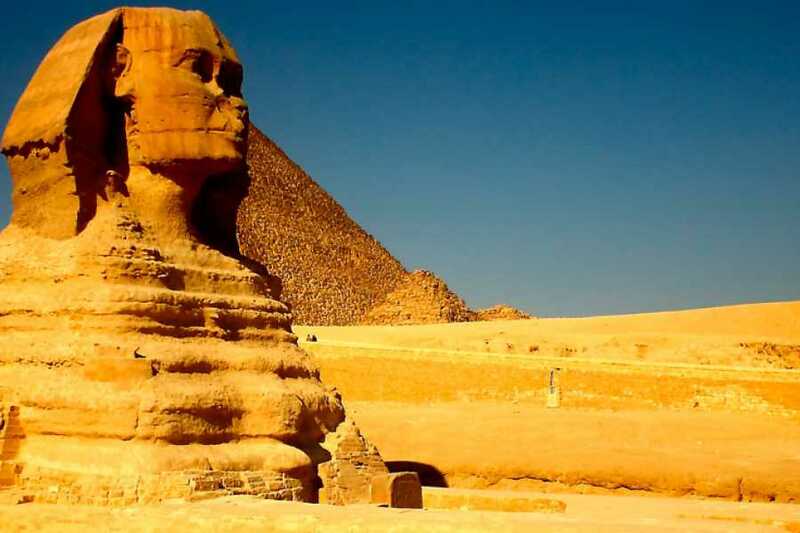 See the three large pyramids of Khufu, Khafre, and Menkaure; capture photos with the Great Sphinx; and learn how a mummy’s brains were extracted at the Valley Temple. Your tour includes 2-way door-to-door transfers, private guide, and snacks, but excludes entrance fees.